Family, friends, classmates and many upper valley residents gathered on May 28, at the Valley Head Methodist Church to dedicate a section of U.S. Route 219 to honor U.S. Army Spc 4 Randall Warren Arbogast who lost his life while serving his country in the Vietnam War. Spc 4 Arbogast, the eldest son of Warren and Arizona Arbogast, was born February 12, 1945. He grew up in the Valley Head community and graduated from Tygarts Valley High School with the class of 1964. After graduation he was employed by Pioneer Lumber Company until entering the U.S. Army on September 29, 1965. Arbogast was one of 4,000 soldiers assigned to the elements of the 196th Light Infantry Brigade, the first “light” infantry brigade in U.S. military history. He served with B Company 4th Battalion 31 Infantry from September 29, 1965 through February 11, 1967. 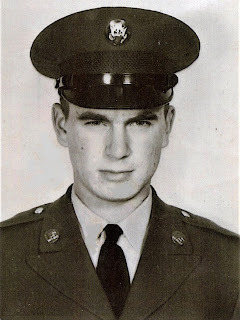 On his 22nd birthday, February 12, 1967, he was transferred to B Company 1st Battalion Mechanized 5th Infantry 25th Infantry Division where he was assigned as an 11C10 Indirect Fire Infantryman M-60 Machine Gunner. On May 3, 1967, Arbogast’s squad was engaged in hostile action with the enemy in Hu Nghia Province when he was hit with a blast from a white phosphorous grenade. Arbogast suffered sixty-eight percent total body burns with forty-seven percent being third degree burns. He was evacuated from the field and transferred to Brooke Army Medical Center, Fort Sam Houston, San Antonio, Texas for treatment of his injuries. Arbogast’s mother, Arizona, was by his side when on May 31, 1967, he died of septicemia due to the burns received in combat. 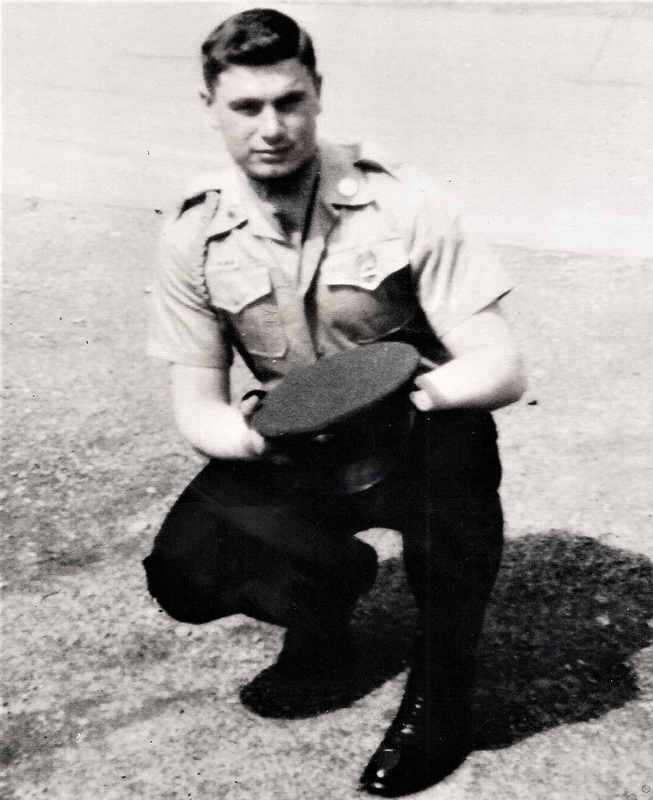 Spc 4 Arbogast was awarded the Republic of Vietnam Campaign Medal, the Vietnam Service Medal, the National Defense Medal, and the Purple Heart. He was also awarded the Bronze Star for Meritorious Military Service and the Combat Infantry Badge, two medals that every soldier honors and respects very highly. His name is listed on the Vietnam Memorial Wall in Washington, D.C. The ceremony to dedicate the U.S. Army Spc 4 Randall W. Arbogast Memorial Road was conducted by three of Arbogast’s classmates: Fred L. Ware, Jr., George Coussoule and Larry See. All three grew up with Arbogast in the Valley Head area, all three are veterans, and all three were Arbogast’s friends. Ware had served in Vietnam during the same time period as Arbogast. In March of 1967 they chanced upon one another in the mess hall at Tan Son Nhut Air Base in Saigon. After spending the day together, Arbogast returned to his company. Consequently, Ware was one of the last friends from “back home” to have shared time with Arbogast before the serious injuries that returned him to the U.S.
As the Master of Ceremony, Ware welcomed all attendees to the Memorial Road dedication ceremony. George Coussoule led the recitation of the pledge of allegiance, and the invocation was given by Larry See. After the invocation Ware recognized the honored guests, siblings of Spc 4 Arbogast: Janice Arbogast Hadley, Kayleen Arbogast Dunsmoor, Steve Arbogast and Stanley Arbogast. George Coussoule presented the history of Spc 4 Arbogast’s military career from the beginning of his service until his return to the United States at Brooke Army Medical Center, Fort Sam Houston, San Antonio, Texas. Larry See, a former military officer, as spokesman for the Arbogast family, described Arbogast as a son, a brother, an uncle, a classmate, a friend and a soldier. 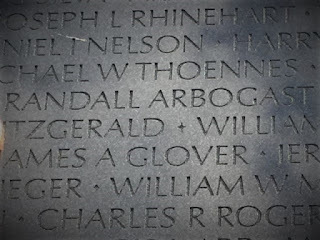 As observed by See, Arbogast’s hopes and ambitions went unfulfilled as he honorably chose to do his duty when called into service for his country. See spoke of the trust placed in Arbogast when on his arrival in Vietnam he was given the responsibility of the M-60 machine gun, the most effective weapon in the infantry platoon. Weighing 21 pounds, combat loaded, and difficult to carry, See proudly asserted that Arbogast was able to handle it. That weapon, See continued, is only entrusted to a good, dependable soldier. Arbogast was a good soldier, he was a good friend and he is greatly missed, stated See. In conclusion, he remarked that U.S. Army Spc 4 Randall W. Arbogast would always be more than a name on a road sign or a name on a black wall in Washington, D.C. The Senate Resolution to honor U.S. Army Spc 4 Randall W. Arbogast with a memorial road, which was sponsored by Senator Greg Boso and cosponsored by Senator Robert Karnes and Senator Robert Beach, was read by Fred L. Ware, Jr. 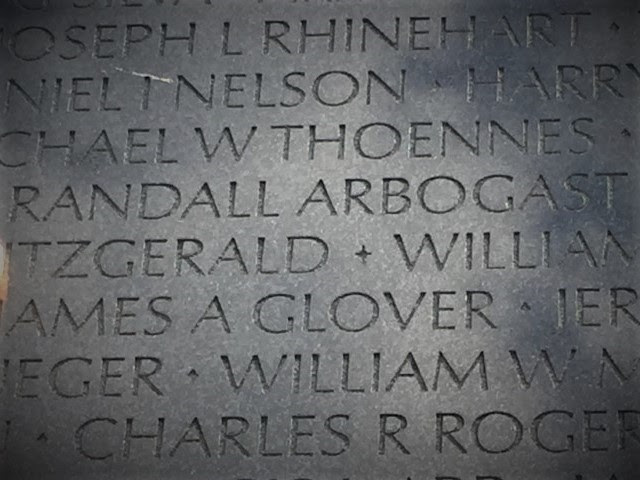 Representing the TVHS Class of 1964 and the Arbogast family, Ware had been the moving force and spearheaded the effort to honor Spc 4 Arbogast with the memorial road. Presentation of personal copies of the Senate Resolution was made to the family by George Coussoule. Unveiling of the highway memorial sign was conducted by Ware. Steve and Stanley Arbogast, the two brothers of Spc 4 Arbogast, participated in the unveiling. A standing ovation was led by an enthusiastic Joe Arbogast of Valley Head after the sign was unveiled. 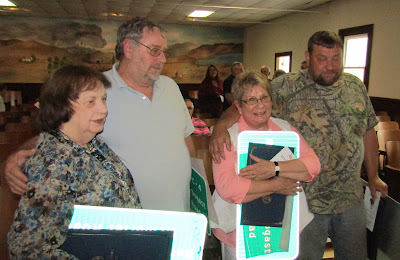 George Coussoule presented each Arbogast sibling with a replica of the original memorial signs which are placed prominently at the Valley Head intersection of Route 15 and Route 219 and on the Pocahontas County line. The signs were contributed by the West Virginia Department of Highways. At the end of the program, Amazing Grace and Taps were played. Spokesman Ware thanked all those who came out for the dedication and all friends, family and classmates who had participated or helped with the dedication in any way. A special thanks was given to Roger Ware of the Marine Corps League of Elkins, and his wife Judy, for their assistance in preparing the program for the dedication. Refreshments were served to family and friends in the church social room. The U.S. Army Spc 4 Randall W. Arbogast Memorial Road and dedication ceremony were sponsored by the Arbogast family and the Tygarts Valley High School Class of 1964.